Hello Scott; Ran across ur site because of your review of GP workshop. In the Linux world, I recommend PCLinuxOS...I played with them all, but this one really does it for me....For planes, based on what you have already, I'd recommend a Stanley 4 smoother...cheap enough on ebay, and you don't need a aftermarket blade for great performance. 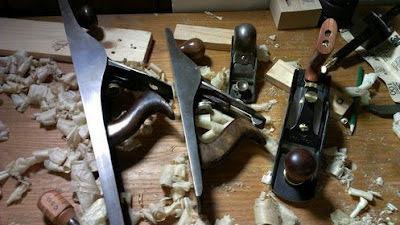 Do a deliberate job aligning frog with the base at the contact points, u can make some beautiful thin shavings. 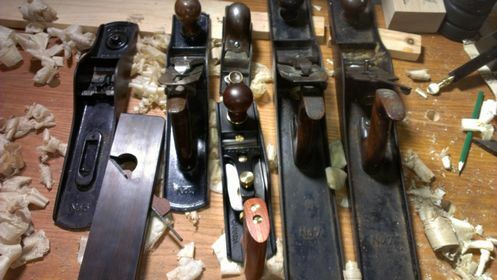 After a 4, I'd keep eyes open on a good deal on a 45...great fun, lots of individual cutters on Ebay...plus doesn't require the preparation (other than sharpening) that other planes need. I do have a beat up 45 on my to be restored list, but I have no idea if I can get it back in working shape.